Waterlock LSL60 Dia. 60 mm hose | Exalto Emirates LLC. 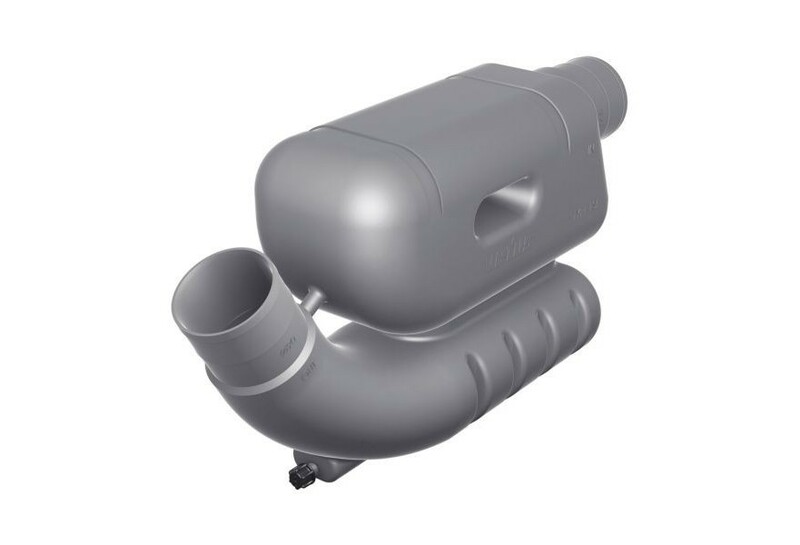 Sometimes, notably in the case of sailing yachts, the exhaust line is so long that an extra large waterlock is needed to prevent the large volume of water in the line from running back into the engine once it has been stopped. 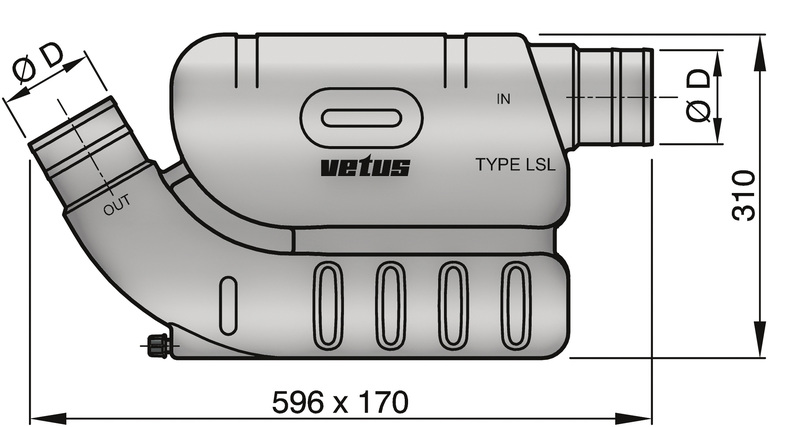 Vetus waterlocks type LSG, LSS and LSL are the ideal solution for boats sailing in rough waters, without the engine running. 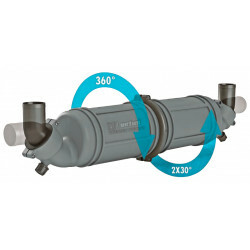 To simplify installation of models LSS and LSG, both the inlet and outlet stubs will rotate through 360 degrees. They are also fitted with a drain plug for winter storage. 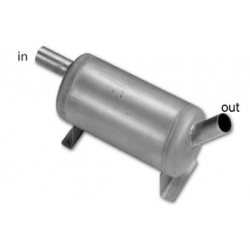 It is possible to fit a sensor for an exhaust temperature alarm into the inlet hose connection of the LSG. 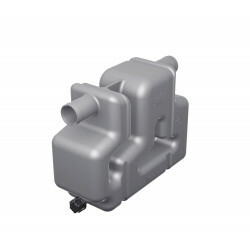 Model LSS features a reduced height of 225 mm, thus enabling easy installation under floor. 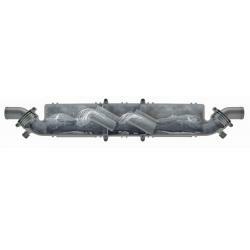 These waterlocks are designed for long relatively straight exhaust runs, for example in sailing boats. 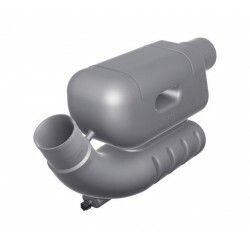 They have fixed (non-rotating) inlet and outlet connections and are available for Ø 60 mm, 75 mm or 90 mm internal diameter exhaust hose. Two securing straps are standard supply.